Saskatchewan shows love for the arts! Saskatchewan Arts Alliance is an inclusive, member-driven coalition of arts organizations that provides a collective voice for the arts community of Saskatchewan. Saskatchewan Arts Alliance works to strengthen, support and advance the arts through advocacy, policy development and proactive leadership. Since its establishment, they have been a prominent advocate on issues affecting artists and the arts, including public funding to the arts, provincial and federal arts policies, freedom of expression and artists’ working conditions. The Saskatchewan Arts Alliance led the effort to ensure arts community participation in the make up of the Saskatchewan Arts Board and was the main proponent in establishment of the Status of the Artist Act. 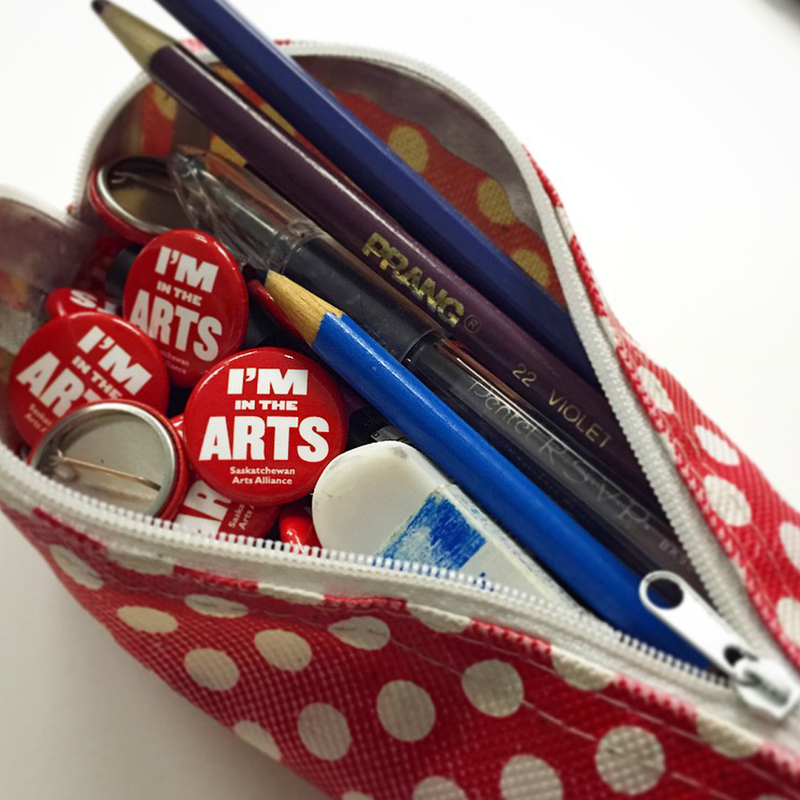 Get their 1″ buttons, wear their buttons and show your love for the Art community in Saskatchewan.